We’ve all got our own favourite movies. Some people cry as they watch Titanic, and others laugh as they rock along to Bill and Ted’s Excellent Adventure. Some people root for Marty McFly in the Back to the Future series, whilst others prefer the action of their favourite Batman movie. For many people, luxury holidays are made better by the chance to visit film and movie destinations. The Pirates of the Caribbean movies were actually filmed in the Caribbean, amongst other locations. The famous scenes set around Port Royal were filmed on the island of St. Vincent, just south of St. Lucia. St. Lucia itself has been a destination used in many films. If you’re a fan of the original Dr. Dolittle movie, then you can take a walk along Marigot Bay where the scenes with the giant pink snail were filmed. The Bond movie GoldenEye was filmed in Puerto Rico. The Arecibo Observatory was a location used at the end of the film, and featured in the film’s accompanying video game. Bahamas – Directed by Ron Howard and starring big names including Tom Hanks and John Candy, the movie Splash is a light-hearted film set in a beautiful Caribbean location. Scenes were filmed in Nassau, by Paradise Beach. The Dr. No movie was filmed, in part, at the bottom of the Dunn’s River Falls on Laughing Waters Beach. The waterfall goes straight into the sea, which is a truly impressive sight. The Dunn’s River Falls also featured in the movie Cocktail. Your Experfly travel consultant can book luxury holidays to Caribbean islands, so that you can visit some of these impressive movie locations. 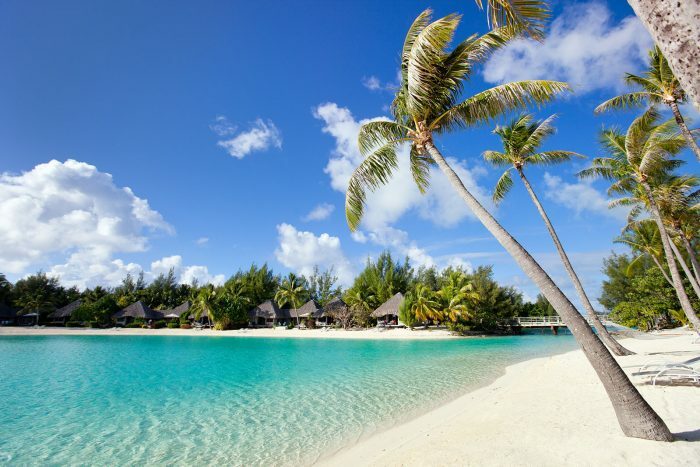 Even if you’re not a fan of the films, it’ll be hard to resist such a spectacular tropical paradise.